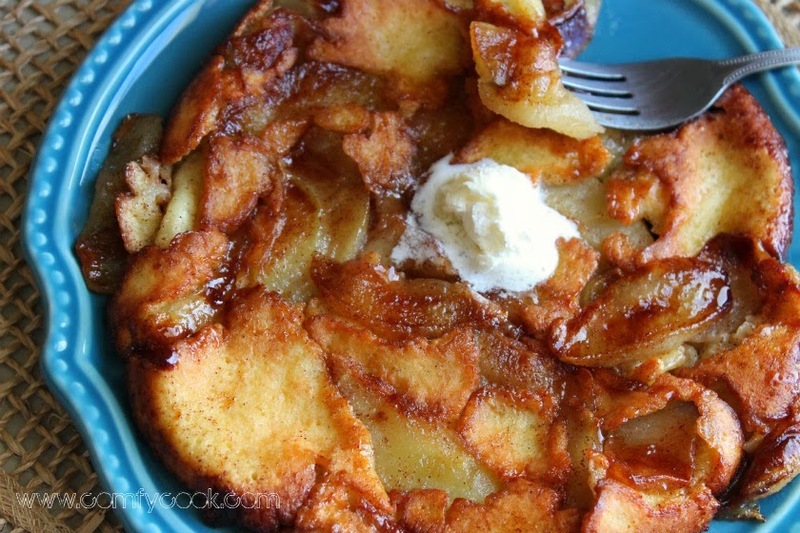 What could be better on a cold, snowy February morning than a warm apple pancake. A light crepe smothered in caramelized apples with cinnamon and butter. Preheat oven to 425 degrees F. Melt butter in a 5-inch cast iron skillet over low heat. While the butter melts, pour the milk into a 2-cup measuring cup. Peel the apple, cut off the core and slice lengthwise into thin slices. 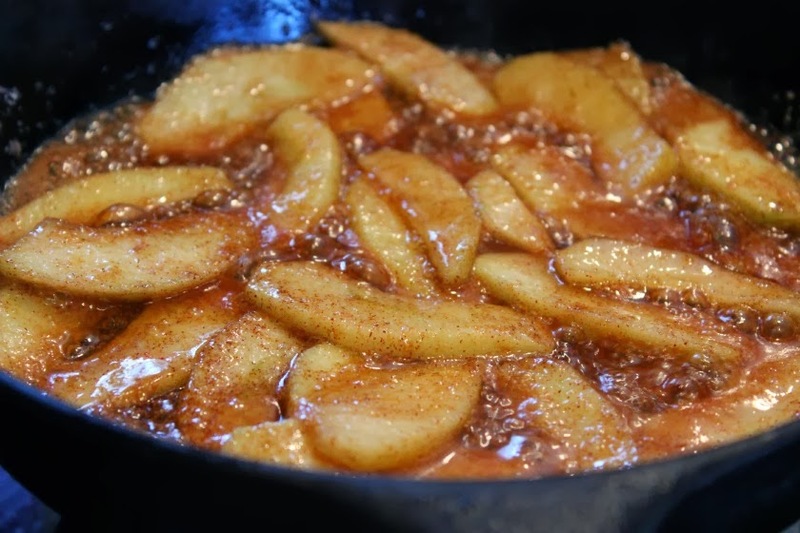 In a small bowl, toss the apple slices with the sugar and cinnamon until well coated. Pour half the melted butter into the milk and whisk well. Add the apple slices and any loose sugar in the bowl to the hot butter in the skillet. Cook the apple slices over medium-low heat, turning them a few times, until softened; the sugar and butter will get nicely browned and bubbly. Remove the skillet from the heat. Add the egg to the milk mixture and whisk to combine. Add the flour and salt and whisk until smooth. Pour the batter over the apples in the skillet. Bake until the pancake puffs up and gets lightly golden on top, about 10 minutes. Enjoy straight from the skillet or invert onto a serving plate. My husband works late twice a week and I make breakfast for dinner, this is one of my favorites. I choose a tart apple also! Sharing your post. Thank you Karen! I love breakfast for dinner! I really like that it's a one-skillet meal. I do a LOT of cooking like this with my cast-iron, that starts on the stove and finishes in the oven. The batter is similar to a crepe. You might have to use two pans, or continue with your second pancake after you turn the first one out! I doubled the recipe and used my large cast iron skillet. This recipe is easy and DELICIOUS!! It's a keeper! Thank you for sharing it. This looks so yummy! It would be perfect for a weekend brunch!